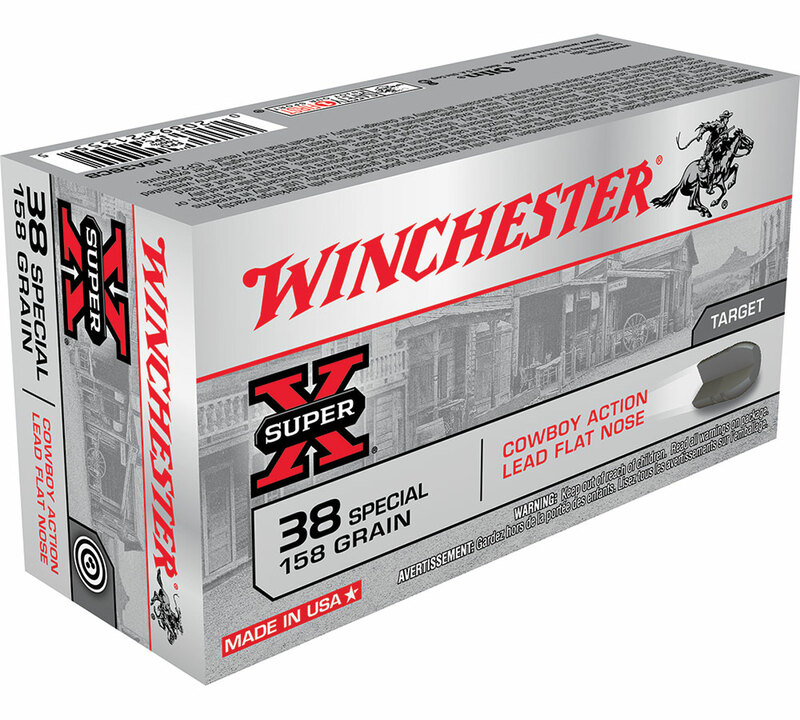 Winchester cowboy loads with its flat nose cast lead bullets and target velocities. Winchester top quality ammunition factory produced with the finest Winchester components and cast lead bullets. Each load is designed to work in revolvers and lever action rifles while recreating the ballistics of the frontier era and go easy on the firearms bore. The clean burning easy shooting low recoil properties of these loads make them a great choice for any form of casual shooting.